The Best SMS Jokes. Use image quotations as wallpapers, backgrounds to help inspire and keep pushing forward towards your dreams. 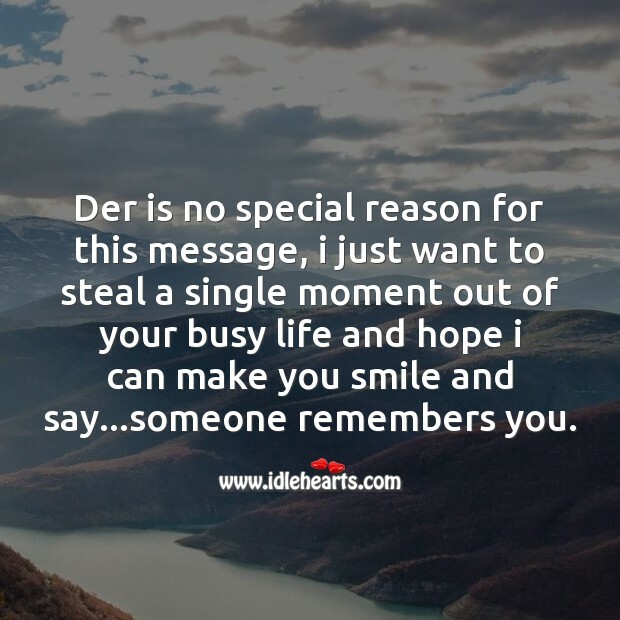 Der is no special reason for this message, i just want to steal a single moment out of your busy life and hope i can make you smile and say...someone remembers you. 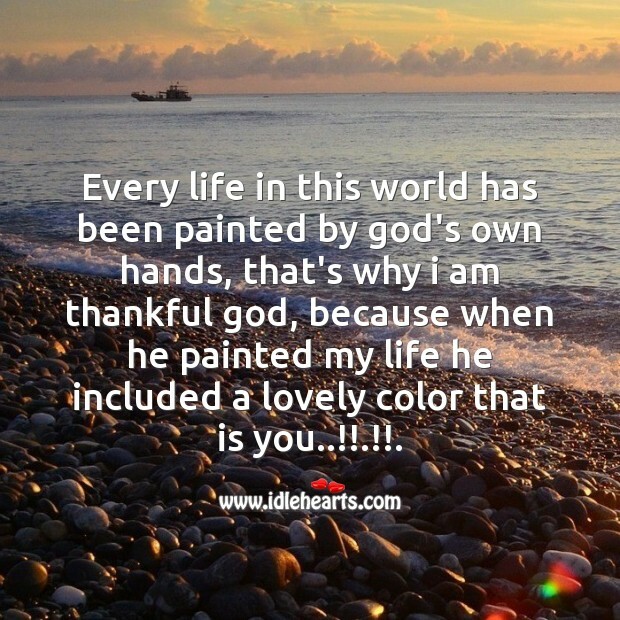 Every life in this world has been painted by god's own hands, that's why i am thankful god, because when he painted my life he included a lovely color that is you..!!.!!. 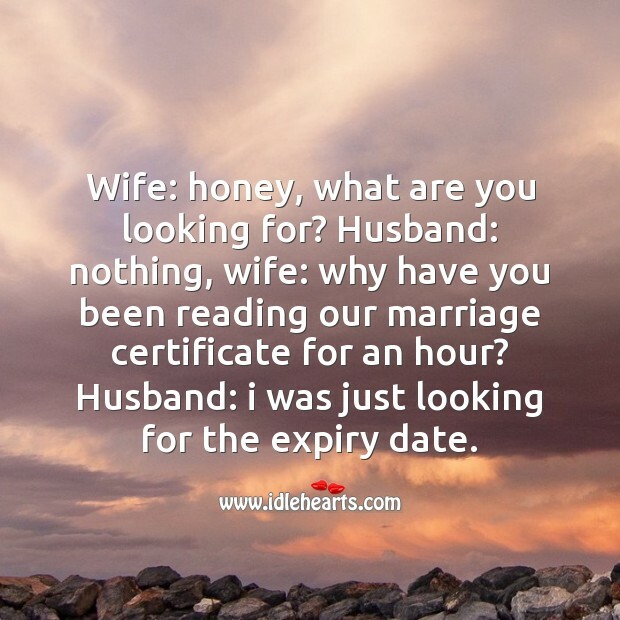 Wife: honey, what are you looking for? Husband: nothing, wife: why have you been reading our marriage certificate for an hour? Husband: i was just looking for the expiry date. Wife: you always carry my photo in your handbag to the office. Why? Darling : when there is a problem, no matter how impossible, i look at your picture and the problem disappears. 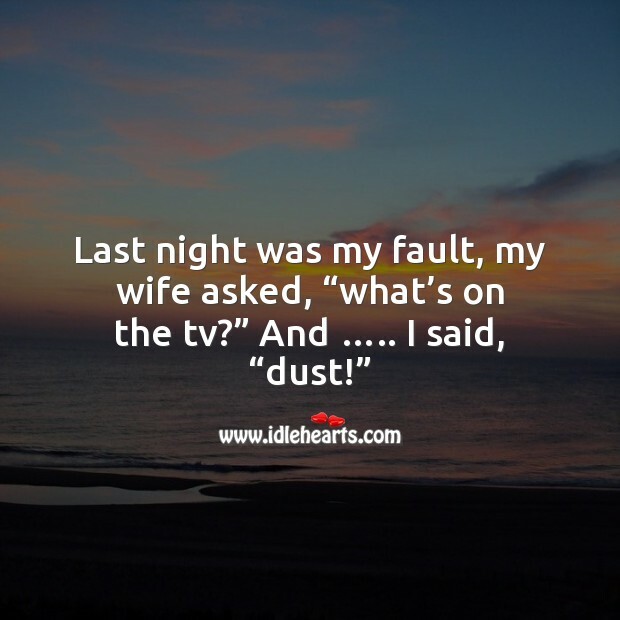 Wife: you see, how miraculous and powerful i am for you? 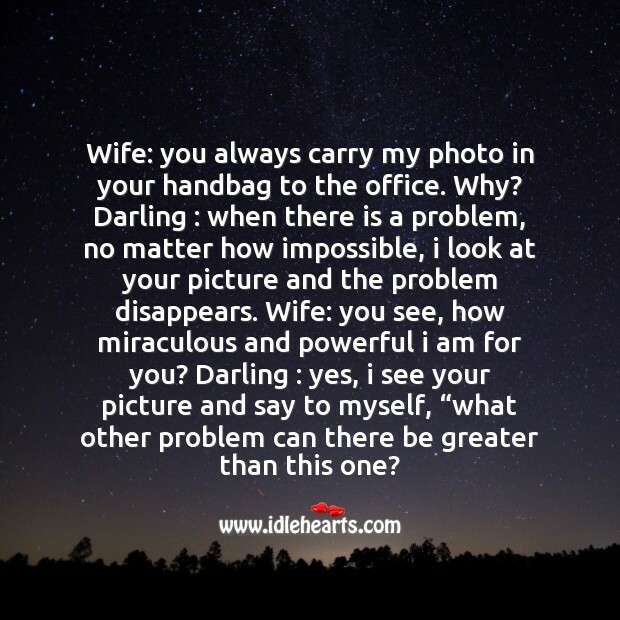 Darling : yes, i see your picture and say to myself, “what other problem can there be greater than this one? Interviewer to millionaire: to whom do you owe your success as a millionaire?” Millionaire: “i owe everything to my wife.” Interviewer: “wow, she must be some woman. 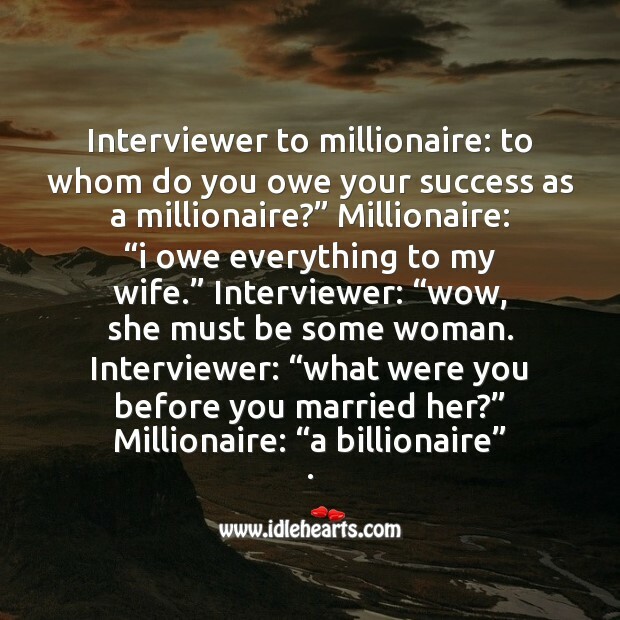 Interviewer: “what were you before you married her?” Millionaire: “a billionaire” . 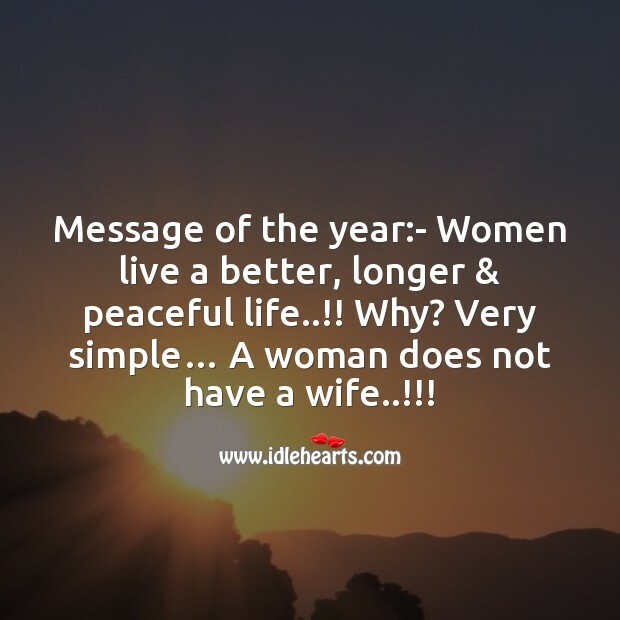 What is the difference between mother & wife ? 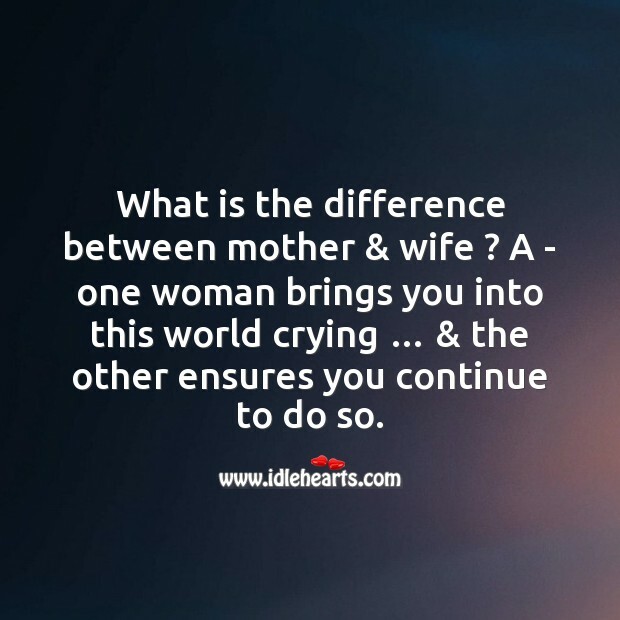 A - one woman brings you into this world crying … & the other ensures you continue to do so. 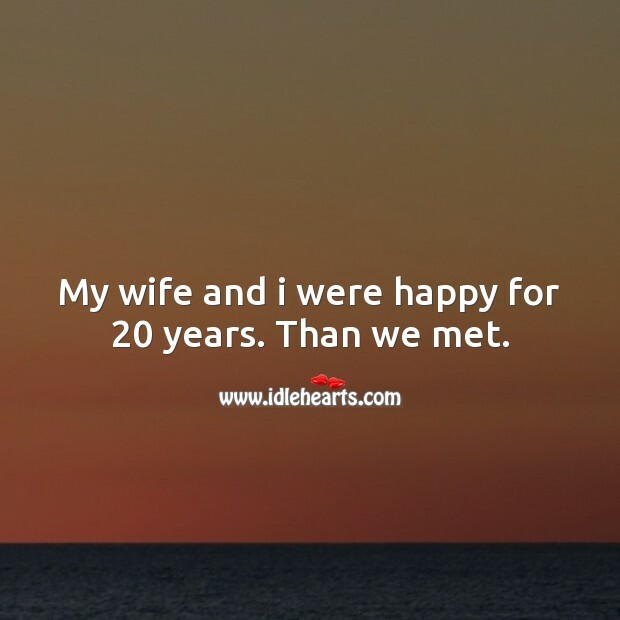 My wife and i were happy for 20 years. Than we met. 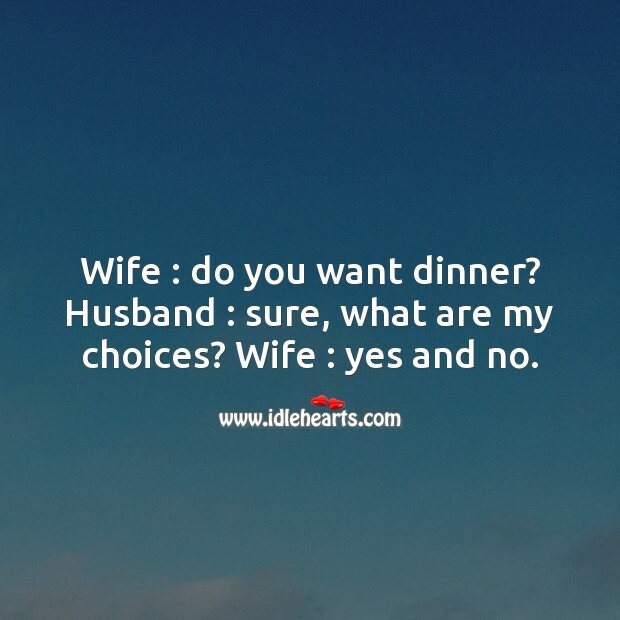 Wife: what is so interesting in me? 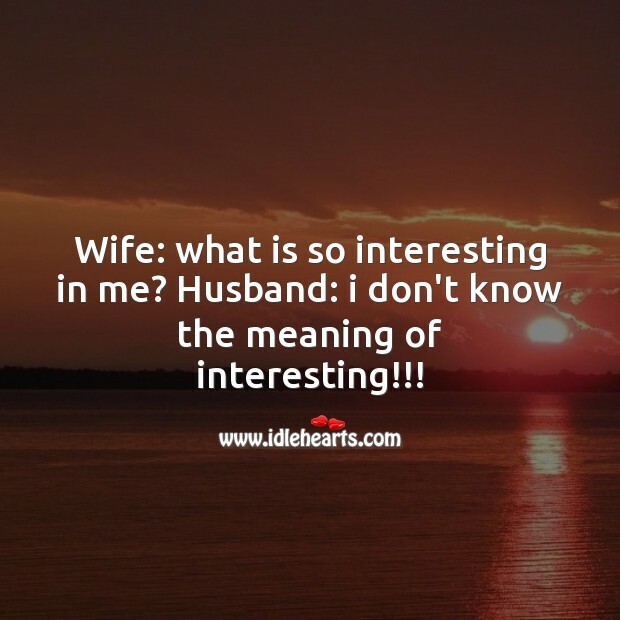 Husband: i don't know the meaning of interesting!!! 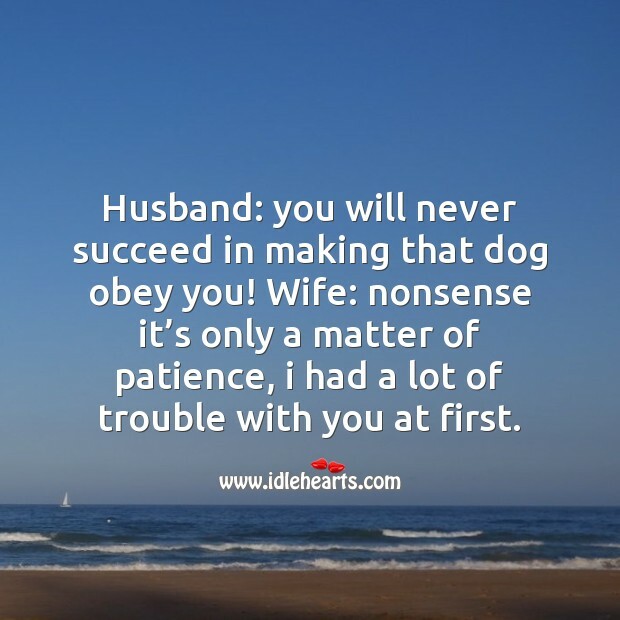 Husband: you will never succeed in making that dog obey you! Wife: nonsense it’s only a matter of patience, i had a lot of trouble with you at first. 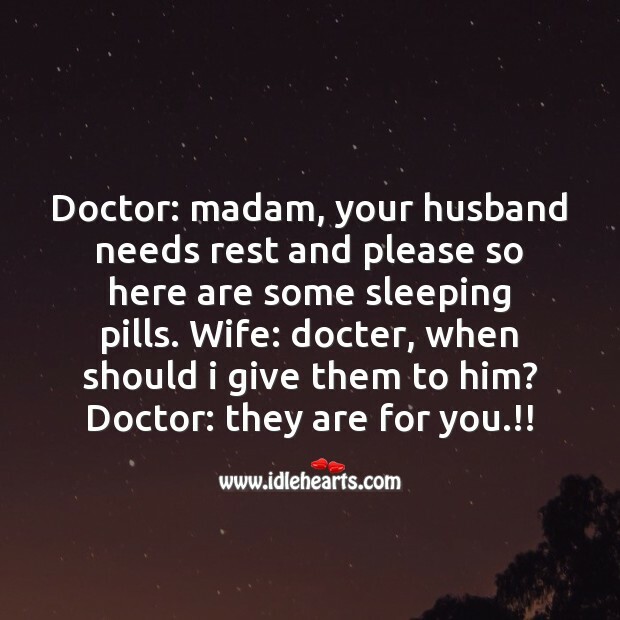 Doctor: madam, your husband needs rest and please so here are some sleeping pills. 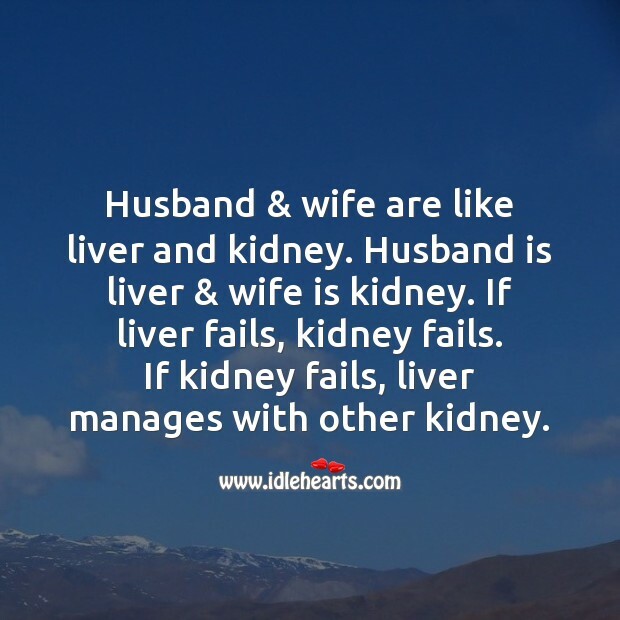 Wife: docter, when should i give them to him? 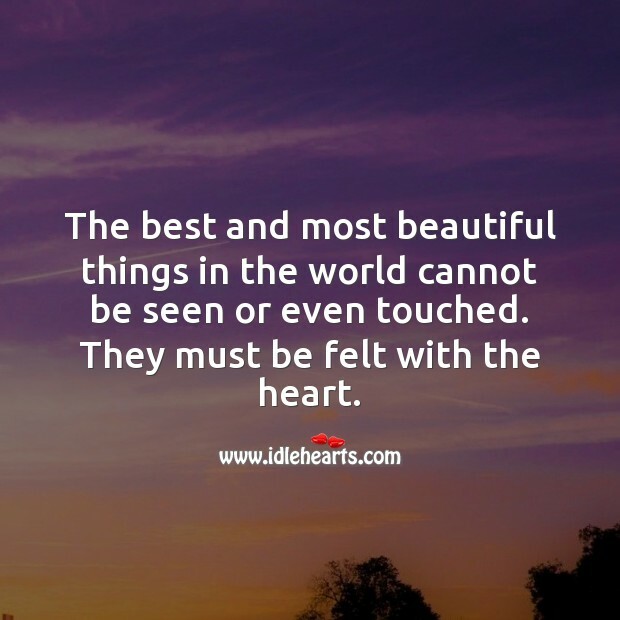 Doctor: they are for you.!! Judge: why did you shoot your wife instead of shooting her lover? 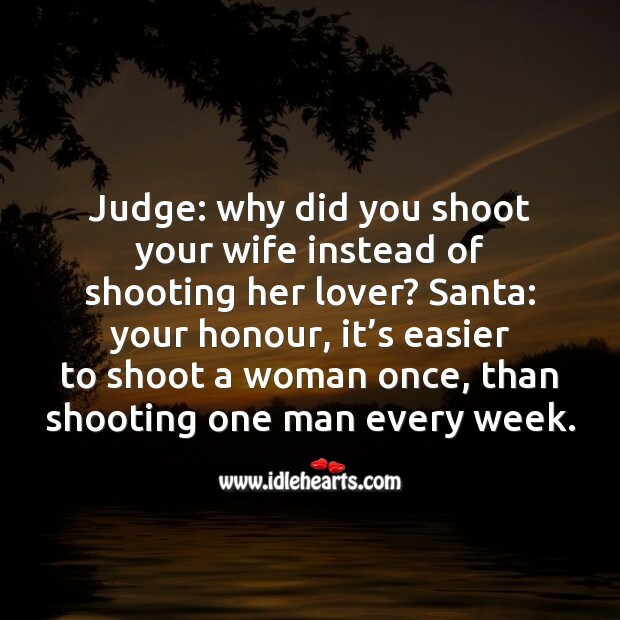 Santa: your honour, it’s easier to shoot a woman once, than shooting one man every week.